He’s not an actor who’s been catapulted into stardom in one single night. Don’t call him an overnight success, he will get irritated. He’s been working quite hard for the past 10 years. Been on stage since he was 16 years old, he slowly paved his path to become an actor through the small but pivotal role of young Dunstan in Stardust before finally entered the hall of fame as Prince Caspian in 2007.
but don’t let that pretty face fool you. He become one of the hottest young British actor without posing for paparazzi outside dodgy night clubs. He rarely finding himself in gossip magazine, much to his relief. “maybe it’s just because I’ve been private about private life or perhaps I am just not that popular”. Ben prefers a night at the cinema or a gig, over what he calls “the gossip mag-lifestyle” and not envy anybody who has that lifestyle. Along with his dashing handsome face, comes his strong personality. Ben was the first actor in his Brit family, because (according to him) he’s the crazy one. His professor of psychiatry father and psychotherapist mother were the most important influences. He’s very much attaching to his family. His parents taught him to think about his reactions. The way they treated him as the first child in the family, made him warm, obliging and usually open about his feelings. In most of his interviews, Ben showed that he is articulate, versatile and charismatic. The way he replied questions were smart but mundane and sincere. He has the sense of genuineness and frankness. Ben is mature and very well prepared person. He’s no fragile soul. He hides it well. It’s in private. “You should doubt in private”. Though he was facing the craziest moment of having 90 interviews on Prince Caspian in one day, woke up the next morning with no voice, dosed up on a cocktail of vitamin C, honey and lemon and Chinese potion, and realized that he had to face another 60, he’s not complaining. 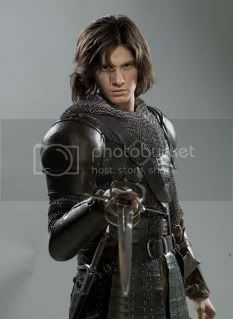 He realized that he has no choice, the film called Prince Caspian, so he has no where to hide. but for Ben it was surreal and also terrifying. Prince Caspian, brought him to his new heartthrob status, but it didn’t jeopardize his life. It was embarrassing, but it brought smile to his face. He is not letting success go to his crown. His parents and brother would slap him if it were ever required. Though his face was on the bus all over London, it seems like Ben after his role as the timeless gorgeous Dorian, has a better sense on how to operate below radar. Even if Dorian Gray marketed as well as the box office movie, Twilight, it wouldn’t be necessary for him in hiding like Robert Pattinson or surrounded by bodyguards. But in the world of Botox – injected society that is obsessed with youth and celebrity and cheating clocks also his role as the timeless narcissist Dorian Gray, he has his own heart-thrilling answer, “Never, not even Botox. As an actor you want your face to have it’s full flexibility potential. You want to be able to raise and eyebrow”. Ben Barnes is intelligent, educated and savvy. In taking roles, he chooses roles that fascinates him, not the ones that make him charming. “Almost every script that I’ve gotten has been for sort of the generic Hollywood type. I haven’t chosen them. All the ones I have chosen are because I’ve been fascinated with the source material or because of the script. And the variety is interesting”. His choices indicate that quality stories are a top priority for him as an actor, rather than taking the easier route of doing work that cashes in “flavor of the month” trends. He just passionate and fascinated with what he does. He wanted to have as many opportunities to play as many different parts as possible. He wanted every experience to be of value. He is also seeing his working opportunity in clever way. “Even all the big stars, you read their autobiographies and there always seems to be a point where they were penniless and starving. To be working actor at this point in my life is just a tremendous privilege”. With “Carpe diem” as his life motto, he tried to look at things in perspective, trying hard to never forget how lucky he was. He doesn’t want to sound maudlin, but he thinks “it’s very important to be aware of what we have”. 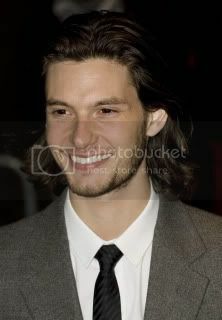 Ben Barnes is a rising and undeniably talented star. He’s working very serious as an actor but if you ask him to choose between a family full of children or an Oscar, he would give a clear statement, “Why not? But if I have to choose between the Oscar or a family full of children, I prefer the second one”. He chose a family full of children more than an Oscar, endearing isn’t it? But it’s also very obvious, the strong combination of classic medieval looks, multi-talents and strong personality could make him the world class award-winning actor. Not just a showcasing star. Physically he’s the object of embarrassing drool, but in person he’s an affable chap with strikingly strong personality and wisdom. He’s positively fabulous. I write to share what I see through my heart, my personal point of view and my own analysis. Disclaimer: All photographs used in this blog are belongs to their rightful owners, benbarnesonline, benbarnessource and benbarnesfan No copyright infringement intended. This entry was posted in Ben Barnes, The prince and tagged Ben Barnes, Multi-talented, The prince by toebildonk. Bookmark the permalink. not only like just a fans who admirer his great looking and contagious one million smile, it’s like read his biography which is u write only on this page..
great job mom :-bd ,still adore for your sentences to describe him.. the words u write can bring the highest crazyness bout him..
baca ini bener2 menceritakan about Barnes….